Audio. Video. Home Automation. NOBODY DOES IT BETTER. "EOC audio is the number one A/V company that we recommend to our clients who are in need of audio/video expertise. We've worked with them for over five years and continue to be impressed." Home AUDIO, VIDEO, THEATERS & AUTOMATION. Smart phones are always discovering new avenues into our lives, EOC Audio has revolutionized the synthesis of our mobile devices with audio, video, theaters, and automation for home, office, and commercial application. For over 15 years, EOC Audio has worked closely with our premium brands as well as homeowners, custom builders and office managers in order to achieve the latest and greatest in sound and vision for their needs. With industry knowledge that anticipates the needs of the audiophile who appreciates elite-class design, EOC Audio has the professionalism and knowhow to handle your most challenging home installation. But more than that, we are a company that always conducts business on a personal level, to build last relationships with our customers. Call us at 630-386-6266 or fill out the form below and we will get back to you asap. From office spaces to residential homes, we use the latest products with an unmatched meticulous attention to detail, to create the ultimate audio & visual experience. GET STARTED TODAY! CALL TODAY AT 630-386-6266, OR FILL OUT THE FORM BELOW AND WE WILL GET BACK TO YOU WITHIN 24 HOURS. WE ARE EXCITED TO HEAR FROM YOU! With industry knowledge that anticipates the needs of the audiophile who appreciates elite-class design, EOC Audio has the professionalism and knowhow to handle your most challenging home installation. But as a company that always conducts business on a personal level, a perfectly simple component system is never out of reach. OUR quiet confidence is realized in meticulous attention to detail, no matter the size of the job at hand. 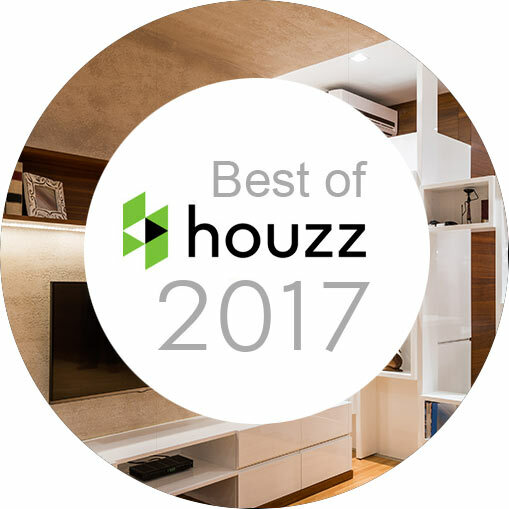 Building on our 2016 Houzz Award, WE PROUDLY ANNOUNCE OUR EOC Audio has won Best of Houzz 2017, recognizing our unmatched, world-class Service! Our installers, technicians and programmers, are prompt, professional, educated, trustworthy and experienced. Every project starts from scratch, creating customized Audio / Video / Home Automation experience for all our customers. FOR OVER 15 YEARS EOC Audio HAS BEEN ChicagoLAND's Source for Premium Home Audio & Video, Home Theaters, and Home Automation SOLUTIONS.